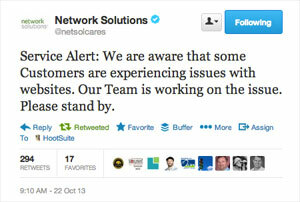 Have you ever experienced your website being down and your webmaster or site administrator tell you “it’s a DNS issue”? DNS stands for Domain Name Service and it is what tells all the servers on the Internet where to find your website. Imagine millions of servers all over the world having to take zillions of requests for all kinds of different websites on browsers a gajillion times a day! DNS is what enables your website to be served to a visitor when they request your domain name in a browser. I like to think of it like the central post office or postal or zip code system. Your Domain Name is registered on a domain name service provider like Network Solutions, GoDaddy.com, Domain.com, TuCows.com or many other domain name registrars. These registrars tell anyone requesting a website through a browser, where to find that website, i.e. the server address which is usually in the form of an IP address. IP just means Internet Protocol. Since we’re on the Internet, the Protocol or method is just a language, or directive to tell one computer where to send the visitor to find your site. 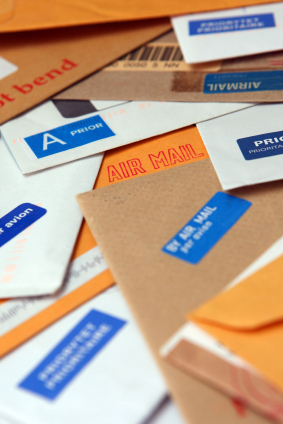 Imagine a world where none of the postal workers understood zip codes or city names? When your DNS is down or not working for a minute that is what happens on the Internet. DNS is what point the request to the right server. The server then interprets the domain name, figures out where the site is hosted and show you the correct webpage. And this all happens within a matter of milliseconds. The technology is quite amazing actually, kind of like electricity, where you just flip a switch and have light or energy, like mobile phone service, when we can talk over the “air.” DNS is a small piece of Internet with a lot of power. For example Network Solutions was down for about two hours this morning and many many customers were without their websites. If your website is your livelihood, this can be very damaging to your business and the only thing you can do is wait until your domain name service provider fixes the issue. It’s frustrating for everyone, but ultimately it makes us understand the value of a good domain name service provider. Your DNS provider is usually the same as your domain name registrar, but in some cases it may be different. Usually your website is hosted on a different server altogether as well excerpt if your host is GoDaddy. They do both domain name registration and web hosting and their business model is to offer you cheap domain registration so that you will also buy hosting and other services from them. Who is your DNS provider? Would you like to find out? There’s a handy dandy site for that called “Whois.” Go to: http://whois.net/whois/ and enter your domain name and click “Go.” The whois site will return who your registrar is and where your domain name server lives. Why is this helpful? Well, you could look up the DNS provider and see if there are any service issues happening and you will feel better informed. Knowledge is power. It’s one of those things, when it’s working you never think about it, but when it’s not, it is very painful. Do you have more questions or thoughts about DNS? Please enter them in the comment area below. Hello, my name is Susan Barnes. “So what?” you say. Well, as of the date of this post there are 1,130,000 results for a search on “Susan Barnes.” This number is likely to continue growing dramatically, so if you’re stumbling upon this post months or years after it was uploaded, look at the number of search results for Susan Barnes now. How many search results does your name show on Google? Simply enter your name into the search box, and you’ll see either how common your name is, or how famous you are on Google. The higher the number of search results, the more common your name, and the more challenging it will be for you to get a first page ranking on Google or any other search engine for that matter, unless you control all the listings, because no-one else with your name is doing anything worth mentioning. Since Susan Barnes is a very common name and there are several Susan Barnes’ with strong online presences (and also quite importantly that I am passionate about search engines,) I am intrigued by the phenomenon of getting a good ranking for your name on Google. A recent book called Inbound Marketing by Brian Halligan and Dharmesh Shah of HubSpot recommend that if you are hiring anyone to do any web, social media or online marketing work for you, you must confirm that they have a good digital footprint. This means that if you were looking to hire Susan Barnes to help you with Internet Marketing or Social Media, you would want her name and profile to have a high ranking on the first page of Google. Today (January 6, 2010) if you Google “Susan Barnes” you’ll see results for Susan Barnes the actress, Susan Barnes the author, who also has the Susan Barnes Twitter handle. There’s Susan Barnes the realtor in Orlando, Florida, Susan Barnes the Firegoddess jewelry maker, Susan Barnes the painter in Mendocino, California, (incidentally I used to do a lot of oil painting in college too,) Susan Barnes the writer, Susan Barnes the art historian, Susan Barnes the social media expert on the east coast, among 1,129,990 others. There’s even a Susan Barnes somewhere back east who has no period in her gmail account (susanbarnes @ gmail . com) where my personal email is susan . barnes @ gmail . com and for I frequently get her mail. This is very disconcerting, since I’m sure she is likely getting my mail as well. When is Google going to fix this problem? Larry? Sergei? As I write this post, the Susan Barnes that is me, is indeed listed on the first page of Google, but currently only because I have a Google profile. So lesson number one for those of you with common names like “Susan Barnes,” make sure you create your public Google profile. 2. Be someone that other people want to write about, i.e. get your name eg. Susan Barnes linked from websites that don’t belong to you. This is the same for keywords and search engine optimization. If your keyword appears in link text, it has more value to a search engine. 3. Use your name as your handle in Social Networks. This particular Susan Barnes did not do that, because there are too many Susan Barnes’ in the world (yes I am a bit bitter… grrrrrrr) and when I tried to get SusanBarnes on Facebook, SusanBarnes on Twitter they were already taken. 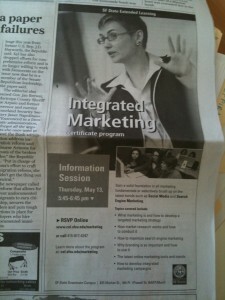 I am Susan Barnes Internet Solutions Consultant on LinkedIn, where I was able to use my name as my handle. I am using Susby on Facebook, Susby on Twitter and Susan Barnes on LinkedIn. For good examples/role models, see George Kao, Chris Brogan, or Brian Solis. 4. Write a blog post about yourself like this one. 5. Register a domain name with your name it, like susanbarnes.com, susanbarnes.net or susanbarnesauthor.com or susanbarneswriter.com. 6. Use your name in the title tag and meta description of your page or post. 7. Participate in social networks, because reputation is the new currency. Every time you post to Twitter for example, Google is still picking it up and indexing it. What does that tell those of you who can’t fathom why anyone would use Twitter? 8. If all else fails, start a new presence with a catchy name like Shoemoney, Daggle or Susby, but you’ll still need to spend a ton of time blogging, tweeting, updating and participating in order to be considered someone worth listing to Google. Thank you for reading about the many Susan Barnes’. Now it’s your turn: What’s your name and how often do you appear in search results? Remember, without measurement, there is no success. You have to measure and track whatever you are doing to know how much progress you are making. Without a goal, there is no where to go, no finish line, no end, and without benchmarks you have no idea where you are, or where the starting line is. So, let’s see where we are in terms of traffic to our websites and blogs and then set some goals so that we can start our journey to accomplish them. Below is a step by step process for putting a Google Analytics tracking code on your site or blog. If you don’t have a website or blog, then this post is probably not for you, but it you are interested in learning more about how to track visits to your site or blog, for free and with less than 15 minutes of set up time, please follow the instructions below. You may need to create a Google Account to do this. Once you have set up your blog. Create a few posts or entries about something you are interested in. 2011-11-11 Update: If you don’t see the Add Website Profile link, look on the right hand side of the screen for “My Analytics Accounts: Select an account” and a drop down menu. Select “Create New Account” at the bottom of the drop down menu. 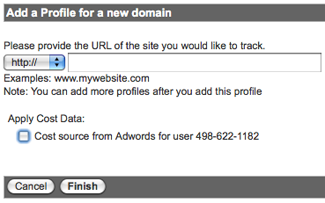 Paste your URL into the Add a Profile for a new domain field. It is important that you paste YOUR URL, i.e. only a website address or blog address that you have control of. You can NOT track a website or blog that you do not control. You may only track your own sites and blog. Do a find [on a Windows machine, hold down the Ctrl + F keys at the same time, on a Mac hold down Command +F] for </head> in the HTML code page. Add a line break before you paste so that it works well. Save the template and/or your work if you are not in blogger. You will see a yellow triangle with an exclamation point in it. IMPORTANT: It takes 24 hours for the tracking to start happening. If everything is working correctly, in an hour or two, you should see a clock symbol, meaning that Google is “waiting for data.” Check back in 24 hours to make sure the tracking is working and ask your friends to visit your site or blog so that you can see some activity. When everything is working correctly, you’ll see a green checkmark next to the site when you next log into Google Analytics. If you have any questions about any of the above steps, please leave a comment. Happy tracking! I’m reading “Naked Conversations” by Robert Scoble and Shel Israel as a result of reading “Putting the Public Back into Public Relations” by Brian Solis and Deidre Brekenridge. What is it with dual authors? I guess the “two minds are better than a guru” adage applies with book writing too. 1. Publishable – “Anyone can publish a blog.” Anyone can tweet. 2. Findable – “Blog posts are search engine friendly.” Twitter posts (tweets) show up on search engines all the time. 3. Social – “The blogosphere is one big conversation.” Twitter is a great conversation starter. Many people think of twitter as a cocktail party where you chat with people who share similar interests. Conversations are short and fun. You converse more with those who you have more in common with. 4. Viral – “Information often spreads faster though blogs than via a news service.” Anyone heard of “Twitter-time?” Some say they get their news from Twitter now instead of any other news service. 5. Syndicatable – “RSS…” Um… RT is the ultimate in syndication and there are all kinds of tools that allow you to syndicate other people’s tweets. 6. Linkable – “Because each blog can link to all others, every blogger has access to millions of other bloggers.” Twitter is all about sharing links and repeating (RT’ing or Retweeting) the links that other people have tweeted. It’s a love fest of links and information on your favorite topic. Fun isn’t it? Are you tweeting yet? Thanks to Coach Joe of my running team for that one. And here’s a quick reminder of the importance of persistence. I am teaching my Internet Marketing Now: New Tools and Trends class at San Francisco State University’s College of Extended Learning in the Integrated Marketing Program. (If that is not a mouthful I don’t know what is.) The course name is soon to be changed to Social Media and More because since it began a couple of years ago the material has morphed into being more social media than anything else, because that is what is most popular online today. When you work on the Internet, the trends change so rapidly that was “it” six months ago is now “old” and the new is really H O T, “hot”! I watched a rather long video today from a marketer I have stumbled upon before on Twitter called Jonathan Bud. He is certainly confident, exudes confidence and loves himself, and that is all totally fine. There is nothing wrong with it. You may want to hate him for it, but you can’t, because he just seems so genuine. One of the things he says near the end of the video is to become a master marketer, you must become a student of marketing. 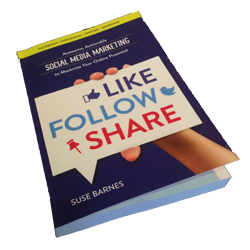 Follow other marketers, make note of what they do, study successful marketing campaigns and case studies and have lots of fun with it. I like to study other marketers and really admire people like Seth Godin, Chris Brogan, Brian Solis, Rand Fishkin, Danny Sullivan and more. There is always something to learn and I feel like I am a perpetual student. This is humbling and I also learn from my students when I teach. One of the assignments in the Internet Marketing Now: New Tools and Trends class is to blog everyday for the duration of the class. I ask my students to do this and I promise to do it too. It sounds easy, but it’s not as easy as it sounds. The challenge is good and I believe the exercise helps students understand what being a blogger is like and what kinds of things you need to do to make it. I am always inspired by my students with this exercise. There are so many great writers out there and so much potential. Follow your dreams. Do what you want to do and don’t let anyone ever tell you you can’t, because by golly, if you believe you can, yes you CAN.